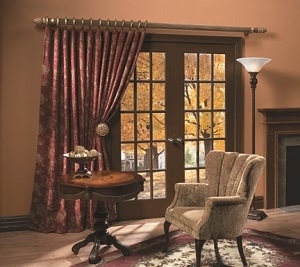 One of the most alluring options for window treatments is draperies in Charlotte and the surrounding areas. There is nothing quite as dramatic or as versatile. This is especially true when you make the wise choice to partner with Sweet Shutters and Shades, in order to gain access to the widest selection of fabrics, colors, patterns and more for your custom draperies. Creating the window coverings of your dreams is about not having limitations. It is, however, about needing to have a team of industry experts who can offer guidance and suggestions about your options, so you make strong choices. Our job as a local Charlotte shutter company and custom drapery expert is to put together a look that you can live with, and love, for years to come. With over 20 years of window coverings expertise backing up the company founder, you can feel confident about the level of quality results that we will deliver for you. It sounds like a small detail, until you realize how visible most drapery hardware is. Selecting just the right pieces and details is a big part of customizing the look and final outcome of window treatments in Charlotte. Most of the drapery hardware that you select will be either decorative, functional or both. We will help you better comprehend the lingo and look over the choices that you have, in the comfort of your own home. Being able to see these items, in the interior design setting it will be part of, makes all the difference in the selection process. Contact us now and let us schedule your consultation services. An increasingly popular style of window covering is the sliding panel. Often used in place of vertical blinds, these panels are ideal for coverage with sliding glass doors, patio doors and other oversized areas of glass. They offer a sleek and unique profile and are also commonly used as ceiling mounted room dividers. Working with the experts at Sweet Shutters and Shades means working with creative pros with an ability to use innovative problem solving skills. We can create looks you will love, that also manage to perform important functions. 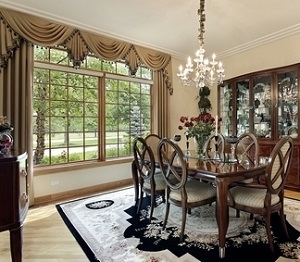 You can entrust us to care as much about your window treatment project as you do. For a truly complete and cohesive interior design aesthetic, let us also provide you with customized bedspreads. This is the best way to ensure quality and a piece that is as unique as the window treatments you have selected. 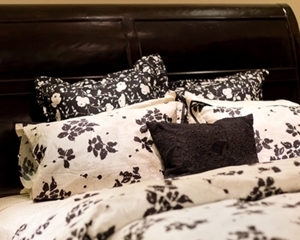 When it comes to your home, you should never settle for less than the best for any detail, including bedspreads. 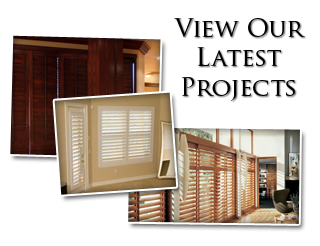 Let Sweet Shutters and Shades show you how we earned the impeccable reputation that we have. 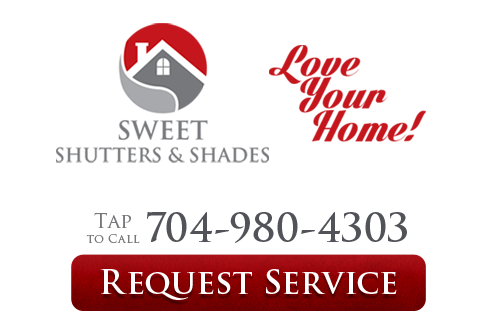 If you would like an estimate for custom draperies in Charlotte, NC or any of the surrounding areas, please call Sweet Shutters and Shades at 704-980-4303 or complete our online request form.